Here are the women with the best results last week in Rome. Even though Sharapova lost in the semis against Halep, she played substantially better last week. Finally. She took a breath, she hustled, she was patient when she could. Yes, she can be erratic and still, a little off. She won Roland Garros twice. So, when she arrives in Paris, she may not win, but she will push, hard. There, her confidence will return. Out of almost nowhere, Kontaveit reached the semis, upsetting CoCo Vandeweghe, Svetlana Kuznetsova, Venus Williams, and Caro Wozniacki before losing to Svitolina. On clay, Kontaveit looks pretty darn good. So, at RG in Paris, she could be a real factor. Believe it or not, the 2017 Roland Garros champion is getting better. 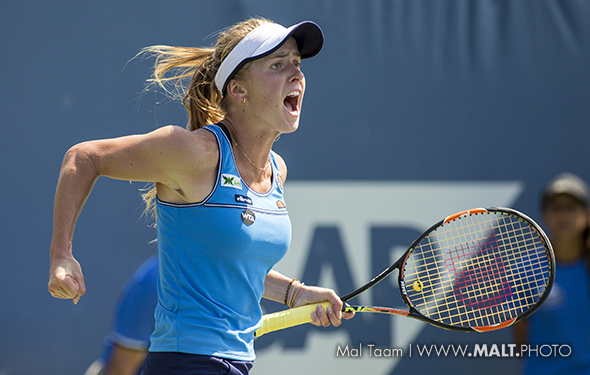 She has had a tough year, but she did reach the final in Miami on hardcourts. In Rome last week, she did beat Jo Konta, and then, went down against Sharapova 7-5 in the third. Ostapenko was very close to that win. While the 20-year-old person can blast the ball from both wings, she has to be a little more comfortable with staying in longer rallies. She did win Paris last year, smoking the ball, so maybe she can do it again.